Van Cleef & Arpels has taken the inhabitants of the Milky Way and created one of the most beautiful pieces of wristwear to ever grace the pages of Acquire, the Complication Poétique Midnight Planétarium. 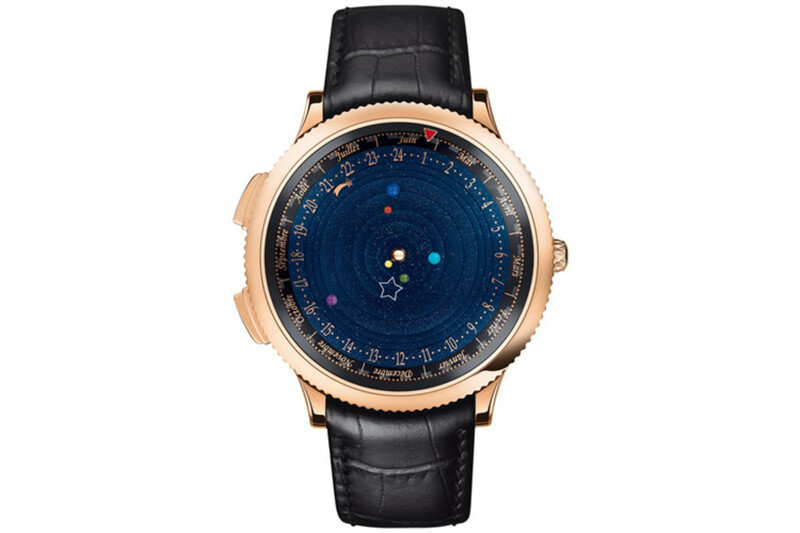 A incredible feat of art and watch engineering, the piece has an intricate dial that displays the position of six planets which are each crafted out of semi-precious stones that surround an 18kt rose gold sun. The movement, created by Christiaan van der Klaauw who specialize in astronomical complications, is an automatic caliber and has hour and month indication around the center dial.